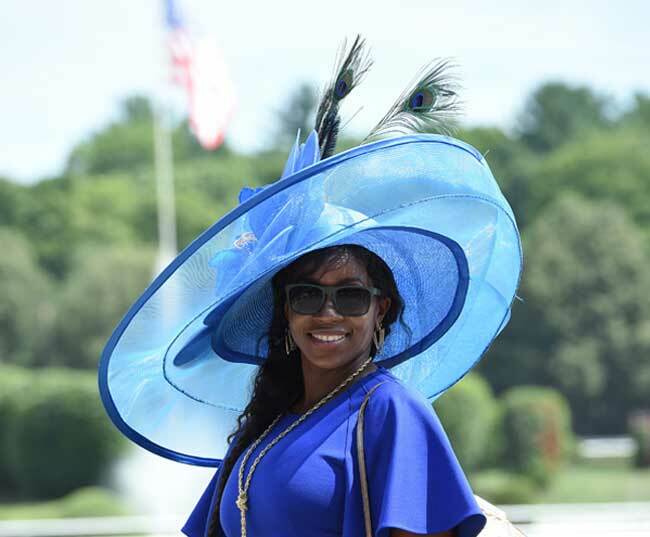 Annual Saratoga Hat Contest Winners Crowned: The New York Racing Association, Inc. today honored the tradition of millinery in thoroughbred racing with the 25th annual Hat Contest, presented by Hatsational by DEI, at Saratoga Race Course. 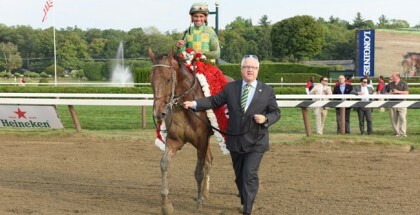 The event was one element of a series of festivities during opening weekend, which is presented by NYRA Bets. The contest unfolded on the track apron Sunday afternoon when numerous participants turned out to compete in three distinct categories: Uniquely Saratoga, Fashionably Saratoga, and for younger patrons, Kreative Kids. Following the day’s fifth race Julie Potter of Duanesburg, NY, was crowned the winner of the day’s most celebrated category, “Uniquely Saratoga,” which recognizes whimsical and creative hats. Potter received the grand prize of a $100 Hatsational by DEI gift card. Rounding out the category’s finalists were second place winner Nanette Pangelley of Boston, MA, and third place winner Annie Mills of Cobleskill, NY. The finalists each received gift certificates from Hatsational by DEI. 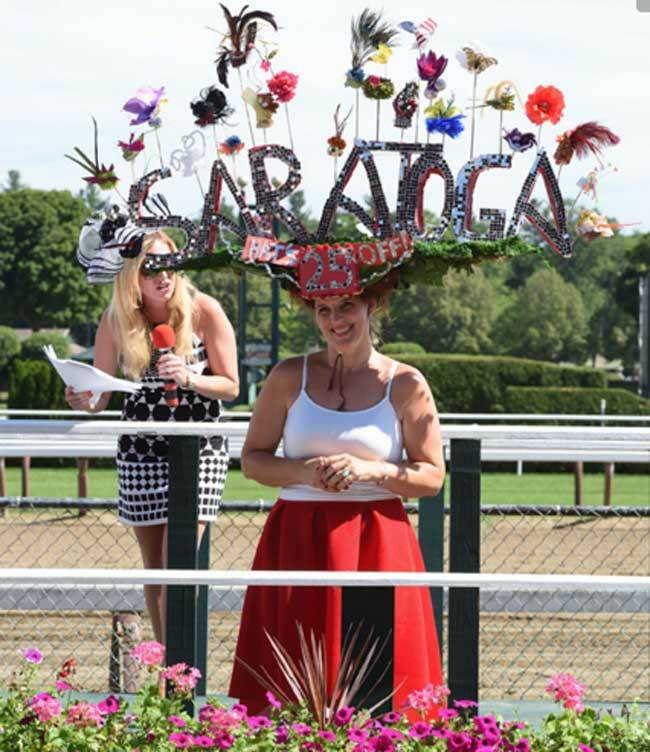 The day’s most popular category, “Fashionably Saratoga,” attracted a large number of contestants donning their most beautiful hats. 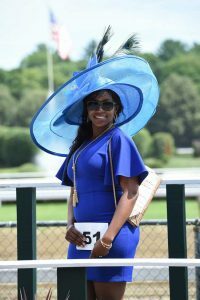 Following the fourth race, Tonia Cooke of Huntington, NY, was named “most fashionable” and awarded a $100 Hatsational by DEI gift card. Donna Cerasuolo of Gloversville, NY, came in second place and Renate Robinson of Belchertown, MA, ranked third. The finalists each received gift certificates from Hatsational by DEI. 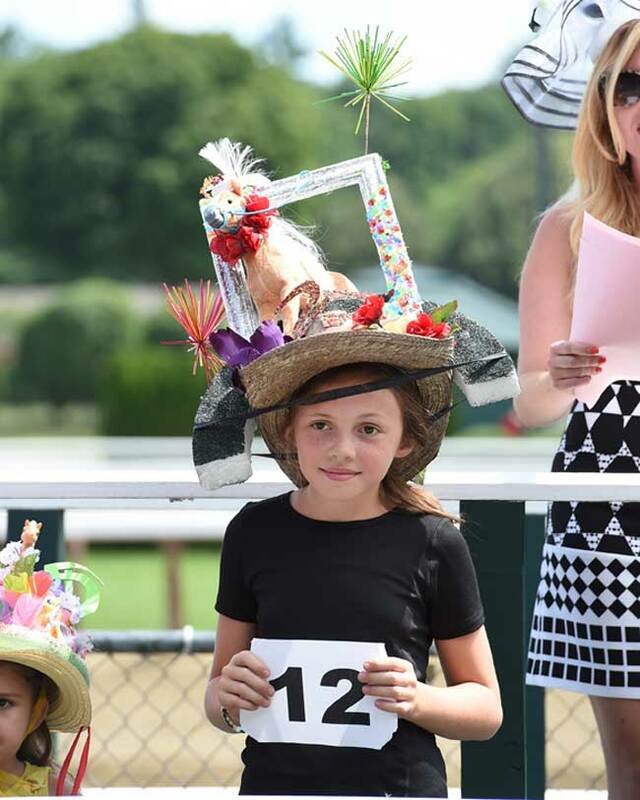 Isabella Potter, 10, of Duanesburg, NY, the daughter of Uniquely Saratoga winner Julie Potter, claimed the title of most stylish youngster in the “Kreative Kids” competition which is reserved for those 18 and under. Paislee Shartrano, 4, of Bennington, VT, finished in second place followed by her sister Aundrea Toromino, 7, also of Bennington, VT, in third place. Each received the prize of a fascinator from Hatsational by DEI, as well as a gift certificate for Saratoga Race Course merchandise. The day’s winners were selected by a panel of judges, including Chris Bushee of Saratoga Today; Bethany Linderman, morning show host for WGNA 107.7 FM, and Leigh Hornbeck, staff writer for the Times Union. The contest was emceed by Noel McLaren of News 10 ABC. 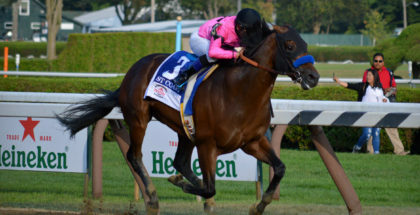 The 2016 summer meet at Saratoga Race Course continues through Labor Day, Monday, September 5. 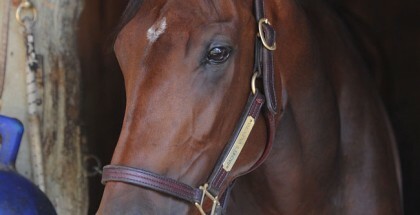 For more information about Saratoga Race Course, call (518) 584-6200 or visit www.NYRA.com.